Image not available for Wizard Study Guide: The Great Gatsby (Cambridge Wizard English Student Guides) (Paperback) by Richard McRoberts (Series Editor). Biographies: F. Scott Fitzgerald and the American Dream, and Zelda Sayre Fitzgerald - Artist, Writer, Dancer and Wife from PBS with photos. "F. Scott Fitzgerald's life is a tragic example of both sides of the American Dream - the joys of young love, wealth and success, and the tragedies associated with excess and failure." Biography of F. Scott Fitzgerald (1896-1940) from GradeSaver: ClassicNote Study Guide. A Fitzgerald Chronology - 1853-1986. FitzFest '96, Montgomery, Alabama - "FitzFest ... was designed not as an academic conference, but as a broader celebration, particularly of the Fitzgeralds' ties to Montgomery and the South." F. Scott Fitzgerald Centennial Celebration, St. Paul, Minnesota - includes photo of the Fitzgerald statue. "At noon on Friday a ceremony marked the U.S. Postal Service's first-day issuance of the F. Scott Fitzgerald commemorative stamp and the dedication of a bronze statue of Fitzgerald that now stands in Rice Park. ... The statue is a slightly-larger-than-life-size rendering of Fitzgerald, a hatless figure with coat casually thrown over arm. ... sculptor Michael B. Price observed that he had placed the statue on ground level so that Fitzgerald would be accessiblse to everyone." Fitzgerald Society/ Princeton University Centennial Conference, Princeton, New Jersey - Session on "'The Great Gatsby: New Approaches,' ... Speakers included Matthew Elliot ... who discussed national identity and race in the novel; Richard Kopley ... who spoke about Gatsby's correspondences with nineteenth-century American literature; and Rama Nair ... who offered an Indian perspective on the novel. First Annual F. Scott Fitzgerald Literary Conference, Rockville, Maryland - Although Fitzgerald never lived in Rockville, as a boy he visited his father's relatives at their nearby farm, Locust Grove, in Montgomery County ... In 1931 he traveled from Paris to attend his father's funeral at Rockville's St. Mary's Church. ... Fitzgerald and Zelda Fitzgerald were first buried in Rockville Union Cemetery. In 1975 they were reinterred at St. Mary's cemetery and, in 1986, their daughter, Scottie, was buried in the family plot." "Fortunes and Misfortunes in the Life and Times of F. Scott Fitzgerald," Rome, Italy - Prof. Pietro De Logu "argued that, following in the tradition of nineteenth-century novelists, Fitzgerald sought to provide a moral interpretation of his time, an emphasis that attracted many Italians--for political and literary reasons--to American Literature during the post-World War II years." Documents tell more about Fitzgerald's first love. Ginevra King was model for 'Gatsby' character and others, from Princeton University. "King was a beautiful and wealthy debutante from Lake Forest, Ill., with whom Fitzgerald had a romantic relationship from 1915 to 1917 ..."
F. Scott Fitzgerald. Biography and links, from Answers.com. F. Scott Fitzgerald from The Literature Network. "F. Scott Fitzgerald (1896-1940) is best known for his novels and short stories which chronicle the excesses of America's 'Jazz Age' during the 1920s." F. Scott Fitzgerald from Wikipedia, the free encyclopedia. Includes 1937 photo of F. Scott Fitzgerald by Carl Van Vechten and color image of F. Scott Fitzgerald United States Postal Service stamp. Contents: Early years, Life with Zelda, "The Jazz Age", Hollywood years, Works, Novels, Short story collections, Other works, Quotations, Biography and criticism, See also, External link. F. Scott Fitzgerald, September 24, 1896-December 21, 1940. Biography from Brandeis University, Waltham, MA. F. Scott Fitzgerald: The Great Gatsby. Brief biography of F. Scott Fitzgerald and brief summary of The Great Gatsby from AmericanWriters.org. A companion site for C-SPAN's special television series, created by Cable, offered as a Public Service. American Writers II: The 20th Century. Fitzgerald Crossword Puzzle Contest - Puzzle Entry Form and Clues - How much do you know about Fitzgerald's works and life? Print out the puzzle, complete it, and compare your answers to the solution. Literature Festival - "AS A BOY, dreaming of becoming a writer himself someday, Fitzgerald came downtown to visit the Saint Paul Library and to see plays in the theaters along Wabasha. The plays made such a powerful impression on him that he could remember whole scenes from them years later." The Saint Paul Connection - "F. SCOTT FITZGERALD was a man of New York, of Paris, of Hollywood, but his first home is Saint Paul, where he was born on September 24, 1896. His great ambitions began here, his themes, his readiness for romance and, at the crucial moment of his life, the summer of 1919, he came home to become a writer." A Fitzgerald Capsule History from September 24, 1896 to 1945. "In 1945, his friend Dorothy Parker compiled The Portable F. Scott Fitzgerald ­ it contained The Great Gatsby, Tender Is the Night, and some of his short stories." Authors on Fitzgerald: How others past and present view the man and his works - Joan Didion calls The Great Gatsby "one of the three perfect books I go back to ... To really understand the book, you have to know about the east, about what it means to buck up against the east." Ernest Hemingway said, after reading The Great Gatsby, "When I had finished the book, I knew that no matter what Scott did, nor how he behaved, I must know it was like a sickness and be of any help I could to him and try to be a good friend." A Fitzerald Chronology. 1853 - 1986, from University of South Carolina. See also F. Scott Fitzgerald: Career Timeline. 1896-1948, from PBS American Masters, with photos and brief description. Chronology of Scott's parents and Zelda's parents, 1855-1901. with photos. A Fitzgerald Capsule History: 1896-1945, from Minnesota Public Radio. F(rancis) Scott (Key) Fitzgerald (1896-1940). "American short-story writer and novelist, known for his depictions of the Jazz Age (the 1920s). With the glamorous Zelda Sayre (1900-48), Fitzgerald lived a colorful life of parties and money-spending." Friday 4/3 [April 3, 1998] from Writer's Almanac. "F. Scott Fitzgerald and Zelda Sayre got married on this date [April 3] in 1920, at St. Patrick's Cathedral in New York. He was 24, handsome, rich and famous from the success of his first novel, This Side of Paradise, and a collection of short stories called Flappers and Philosophers, in which Zelda was the flapper and he the philosopher. It was the Roaring 20s, the Jazz Age ..."
It's the birthday of Zelda Fitzgerald from Writer's Almanac. "... most of his major female characters were based on her [Zelda Sayres], including Daisy Buchanan in The Great Gatsby (1925). Zelda wrote a letter to his family in White Bear, Minnesota after F. Scott Fitzgerald died in 1940 ... Now that [Scott] won't be coming east again with his pockets full of promises and his notebooks full of schemes and new refurbished hope, life doesn't offer as happy a vista ..."
Literary and Historical Notes: October 26, 2003 from Writer's Almanac. "It's the birthday of the only daughter of F. Scott Fitzgerald, Frances Scott Fitzgerald, born in St. Paul, Minnesota (1921) ... She published three books, one of which is called The Romantic Egotists (1974) about the colorful lives of her parents." Literary and Historical Notes: April 10, 2004 from Writer's Almanac. "[The Great Gatsby] was republished in 1941 and it now sells about 300,000 copies a year, more each year than it sold in Fitzgerald's lifetime." Literary and Historical Notes: May 8, 2004 from Writer's Almanac. "it was [Edmund] Wilson who persuaded American readers that F. Scott Fitzgerald had been a genius, and that The Great Gatsby was an American classic." Literary and Historical Notes: September 20, 2004 from Writer's Almanac. "[Maxwell] Perkins created a bit of controversy at the publishing house when he acquired a manuscript by a young man named F. Scott Fitzgerald. When This Side of Paradise came out in 1920, the other editors at Scribner's thought it was filthy trash ... It sold more than 50,000 copies, which was almost unheard of for a first novel at the time ... when he [Maxwell Perkins] edited The Great Gatsby (1925) it became the first novel that Scribner's had published that contained foul language." Literary and Historical Notes: September 24, 2004 from Writer's Almanac. "As it turned out, the most enjoyable years of his [Scott's] life were back in the army (1917-1919) and back at Princeton (1912-1917), where he wrote plays and generally had a good time ... Turns out he spent most of his life in an unhappy marriage, suffering from alcoholism, looking back on his past as a kind of lost paradise ... F. Scott Fitzgerald wrote, 'What people are ashamed of usually makes a good story.' He also said, 'Never confuse a single defeat with a final defeat.' He said, 'You don't write because you want to say something, you write because you have something to say.'" Literary and Historical Notes: September 24, 2005 from Writer's Almanac. "It's the birthday of Francis Scott Fitzgerald, born in St. Paul (1896). He was working on his first novel when he met Zelda Sayre at a military dance in Montgomery, Alabama and fell in love. He told her she looked like the heroine in his novel. They got engaged, but her parents didn't approve because he didn't have any money ..."
Literary and Historical Notes: January 24, 2006 from Writer's Almanac. "She [Edith Wharton, Pulitzer Prize winner in 1921] invited Fitzgerald to a tea party in Paris soon after The Great Gatsby was published. The meeting of the two has become a literary legend. In one version of the story, Fitzgerald arrived drunk, and after a few minutes of sipping tea he stood and told a story about an American couple who mistakenly stayed at a Paris [...], thinking it a hotel. He stopped in the middle of the story, expecting his hostess to be shocked ..."
Literary and Historical Notes: July 24, 2006 from Writer's Almanac. "She [Zelda Sayre] met F. Scott Fitzgerald at a military dance, and he stood out from the crowd in his fancy Brooks Brothers uniform and cream-colored boots. Zelda said, 'He smelled like new goods.' They married in 1920. Their marriage was difficult. Scott struggled with alcoholism and Zelda struggled with schizophrenia, but they were the quintessential literary couple of the Jazz Age ..."
Literary and Historical Notes: March 26, 2007 from Writer's Almanac. "It was on this day [March 26] in 1920 that This Side of Paradise was published, launching 23-year-old F. Scott Fitzgerald to fame and fortune ... In August 1919, Fitzgerald finished a new draft, now titled This Side of Paradise. He gave it to a friend from St. Paul for a final edit and sent the new typescript to Scribners on September 4, 1919. Two weeks after he mailed the manuscript, Fitzgerald received Maxwell Perkins' letter accepting the book. Fitzgerald was so excited that he ran outside and stopped cars on the street to announce the news." Literary and Historical Notes: July 24, 2007 from Writer's Almanac. "He [Scott] told her [Zelda] that she looked like the heroine in the novel he was writing. They went on their first date on Zelda's birthday, July 24, 1918. She never forgot that day. Years later in a letter to Scott she wrote, 'The night you gave me my birthday party ... you were a young Lieutenant and I was a fragrant phantom ...'"
Literary and Historical Notes: September 24, 2007 from Writer's Almanac. "... at Princeton University when he fell in love with a beautiful rich girl named Ginevra King. She got engaged to somebody else because Fitzgerald didn't have many prospects ... that experience gave Fitzgerald an idea for a novel ... Fitzgerald struggled to write the book in his parents' home in St. Paul, pinning revision notes to his curtains and eating all his meals in his bedroom ... The publication of This Side of Paradise in 1920 made Fitzgerald famous almost overnight, and it won him the heart of a woman named Zelda Sayre ... He finally got the girl, he got to be a star, and he got to be rich. He went off to Paris to write his great masterpiece, The Great Gatsby (1925), about a wealthy bootlegger who wears pink suits and throws extravagant parties and is obsessed with winning back the love of his life, Daisy Buchanan ..."
April 10, 2008 from Writer's Almanac. "It was on this day [April 10] in 1925 that F. Scott Fitzgerald's novel The Great Gatsby was published. Fitzgerald was 28 years old at the time ... he sailed with his wife, Zelda, to France in May of 1924. He found that he could see America better from a distance, and he began to write his novel about a wealthy bootlegger named Jay Gatsby ... Fitzgerald worked on the novel every day that summer, writing in pencil, drinking Coca-Cola and gin, and reading Keats whenever he needed inspiration. He struggled with the title and considered calling it 'Under the Red, White and Blue,' 'Among the Ash Heaps and Millionaires,' and 'The High-Bouncing Lover.' When he sent the first draft to his editor Maxwell Perkins, just five months after he'd started writing, he thought it should be called 'Trimalchio in West Egg' or just 'Trimalchio.' Perkins suggested The Great Gatsby." Literary Notes: April 11, 2003 from Writer's Almanac. "On this day in 1925, F. Scott Fitzgerald's novel The Great Gatsby was first published. Fitzgerald was twenty-eight years old. When he sent the first draft of Gatsby to his editor, Maxwell Perkins ... suggested a few changes, including changing the title, which was originally 'Trimalchio in West Egg' ... it was Fitzgerald's first commercial failure, and most copies of the second printing were still in the Scribner's warehouse when Fitzgerald died." Literary Notes: July 24, 2003 from Writer's Almanac. "It's the birthday of Zelda Fitzgerald, born Zelda Sayre in Montgomery, Alabama (1900). She was the wife and muse of the novelist F. Scott Fitzgerald. As a child, she was a restless tomboy, always running from one place to the next ..."
Literary Notes: September 24, 2003 from Writer's Almanac. "By the time the stock market crashed in 1929, Fitzgerald had started to crash too. His marriage was coming apart—Zelda had her first nervous breakdown in 1930. The changes that came with the Great Depression made F. Scott Fitzgerald seem like ancient history, along with everything else from the 'Roaring Twenties' ... His books, including The Great Gatsby (1925), did not sell well. In 1929, the Saturday Evening Post paid him $4,000 per story, but his total royalties on seven books that year were only $31.77 ..."
Meet the Writers: F. Scott Fitzgerald. Biography from Barnes & Noble. Portrait of F. Scott Fitzgerald (1896-1940). 1935, by David Silvette (b. 1909), oil on canvas. Courtesy of the National Portrait Gallery. "F. Scott Fitzgerald named the self-indulgent 1920s 'the Jazz Age.' His most enduring achievement was The Great Gatsby, a tale of failed love set against a background of careless luxury ..."
Saturday, 10 March 2001 from Writer's Almanac. "On this day [March 10] in 1949, a fire swept the main building of the Highland Hospital in Asheville, North Carolina. Ten women — mental patients — were locked on the top floor and died in the flames. One of them was Zelda Fitzgerald, the 47 years old widow of F. Scott Fitzgerald, who had died of a heart attack in Hollywood 9 years earlier." Thursday 9/24 [September 24, 1998] from Writer's Almanac. "He wrote his first novel, The Romantic Egotist, in just a few weeks time right before heading to boot camp — convinced he was going to die in WWI. The war ended before he shipped out, so he re-worked the novel. When it came out in 1920, titled This Side of Paradise ... Fitzgerald made his living primarily from 160 magazine short stories. The Saturday Evening Post bought one from him in 1929 for $4,000. But we remember him mostly for The Great Gatsby, the novel written over 10 months in France during 1924." Today is Valentine's Day from Writer's Almanac. "One of the most famous literary couples met in July of 1918, when a young lieutenant stationed in Alabama went to a dance at the Montgomery Country Club. There he met a Southern belle named Zelda Sayre. She had gray eyes and reddish-gold hair; she was spirited and independent, from a good family. And she liked the lieutenant, who was small, blond, and handsome, and whose name was Scott Fitzgerald. They fell in love ..."
Tuesday 3/10 [March 10, 1998] from Writer's Almanac. "Zelda Fitzgerald died on this day [March 10] in Asheville, North Carolina, 1948. She'd been hospitalized since the early 1930s after a couple of nervous breakdowns. Her husband, F. Scott Fitzgerald said, 'I left my capacity for hoping on the little roads that led to Zelda's sanitarium.' On the night of March 10 the main building of the hospital caught fire and she was locked in her room on the top floor. She was laid to rest alongside Scott in a Maryland cemetery." A Hyper-Concordance to the Works of Scott Fitzgerald from The Victorian Literary Studies Archive. Select The Great Gatsby. An Index to The Great Gatsby by F. Scott Fitzgerald. One fabulous site by the dedicated Br. Tom Murphy, O. Carm. (Carmelites of the Ancient Observance). Gatsby Annotations and Links including links to related music, e.g. "Ain't We Got Fun" Midi, Felix Mendelssohn's Wedding March. Pagination follows the paperback edition of The Great Gatsby (The Authorized Text). New York: Collier/Macmillan, 1992. The Great Gatsby by F. Scott Fitzgerald - Download entire text of this novel in HTML version rendered by Steve Thomas, University of Adelaide Library Electronic Texts Collection, Australia. Zip file and single file downloads also available. A Consciously Artistic Achievement. Review of The Great Gatsby by Eric Maroney, from Amazon.com. F. Scott Fitzgerald, The Great Gatsby (1925). "Written in 1925, F. Scott Fitzgerald's The Great Gatsby is often referred to as 'The Great American Novel,' and as the quintessential work which captures the mood of the 'Jazz Age.'" Includes photo of F. Scott Fitzgerald, dust jacket of the first edition of The Great Gatsby, Questions to Think About, Further resources for studying F. Scott Fitzgerald's The Great Gatsby. A Feminist Critique of F. Scott Fitzgerald’s “The Great Gatsby” by Terry Heath. Fitzgerald’s “The Great Gatsby” and Northrop Frye’s Theory of Myths by Terry Heath. Indeterminacy in F. Scott Fitzgerald’s “The Great Gatsby” by Terry Heath. A Marxist Critique of Fitzgerald’s “The Great Gatsby” by Terry Heath. A New Criticism View of F. Scott Fitzgerald’s “The Great Gatsby” by Terry Heath. A Psychoanalytic Criticism of F. Scott Fitzgerald’s “The Great Gatsby” by Terry Heath. BookRags.com: The Great Gatsby Study Guide & Literature Chapter Summaries. The Great Gatsby BookNotes Study Guide, Summary. Contents include: Author Biography / Context of the Work, One-Page Plot Summary, Character Descriptions, Object/Place Descriptions, Quotes. (Pop-up ads). Character Analyses: Nick, Gatsby, Daisy. eNotes: The Great Gatsby. Summary & Essays. Contents included: F. Scott Fitzgerald Biography, One-Page Summary, Summary and Analysis (all chapters), Quizzes, Themes, Historical Context, Critical Overview, Character Analysis, Nick Carraway, Jay Gatsby, Other Characters, Essays and Criticism, Corruption of the American Dream, Major Characters in The Great Gatsby, Critique of American Upper Class, Role of Women, Green Hope of Gatsby, Gatsby and the American Dream, Romance and Cynicism in Gatsby, Modernism in The Great Gatsby, Style of Gatsby, Jazz Age, Fitzgerald's use of Time in The Great Gatsby, Jordan Baker & Feminism, The Wilsons: Minor Characters? Characters and Time in The Great Gatsby, Greatness of Gatsby, Note on Fitzgerald's Great Gatsby, Suggested Essay Topics, Ten Important Quotations, Sample Essay Outlines, Compare and Contrast, Pictures, and mores. Free Book Notes.com - The Great Gatsby. Contents:Historical Context, Main Characters, Points to Ponder, Did You Know, Plot Summary, Chapters 1-9. (Lots of pop-up ads). GradeSaver: ClassicNote on The Great Gatsby by Jeremy Ross. Contents include: About F. Scott Fitzgerald, Character List, Short Summary, Full Summary and Analysis, Summary and Analysis of Chapters 1-9, Related Links, Difficult Vocabulary in The Great Gatsby, Author of ClassicNote and Sources, Test Yourself! Quizzes 1 & 2, Essays, Forum. Homework-Online: The Great Gatsby by F. Scott Fitzgerald. Contents include: Chap. Summaries, Character Analysis, Theme Discussion, Symbolism, Quotes, User's Forum. The Great Gatsby. Information from Answers.com. Summary of The Great Gatsby and links. The Great Gatsby: A Beginner's Guide by Hudson Gevaert. Includes: Cover of the Modern Library publication of the novel, About the Author, About the 1920's, Nick Carraway, Jay Gatsby, Daisy Buchanan, Tom Buchanan, Jordan Baker, Myrtle Wilson, George Wilson, Meyer Wolfsheim, Themes of the Novel. The Great Gatsby by F. Scott Fitzgerald. A short, one-page study guide from Bellmore-Merrick Central High School District and the English Department of Calhoun High School, Merrick, NY. Setting, Background Information, Major Characters, Plot Summary, Themes, Key Issues, Lessons/Morals/Applications. The Great Gatsby from Wikipedia, the free encyclopedia. "The Great Gatsby, a novel written by the American novelist F. Scott Fitzgerald, was first published on April 10, 1925. The story takes place in New York City and Long Island in the 1920s. It has often been described as the epitome of the 'Jazz Age' in American literature." Contents: Summary, Literary elements, Structure, Symbolism, Trivia, Links. The Great Gatsby Website by Andrew Dilling, a student. Contents: Book Summary, Character Descriptions, Chapter Summaries, Vocabulary, Gatsby Trivia (answers provided), About the Author, Essays ("Why the Great Gatsby is so appealing to readers" by Ryan Helmkamp. "Nick, the Flawed Narrator" by Linda Daley. "Some Like it Hot: The Development of Atmosphere as a Test of Character in The Great Gatsby" by Wayne Crawford), Reviews from Amazon.com. Homework-Online: The Great Gatsby. Contents: Chapter Summaries, Character Analysis, Thematic Discussion - section concisely explains the themes of The Great Gatsby, Symbolism, Important Quotes, User's Forum - readers post questions and answers about The Great Gatsby on a bulletin board system. JiffyNotes: The Great Gatsby. Contents: Historical Context, Main Characters, Points to Ponder, Did You Know, Plot Summary, Chapters 1-9. (Pop-up ads). Literature Network: The Great Gatsby by F. Scott Fitzgerald: A searchable online version. About the Author, plus Chapter by Chapter Summary for Chp. 1-9. Includes a portrait of F. Scott Fitzgerald. NovelGuide: The Great Gatsby. Contents: Novel Summary, Character Profiles, Metaphor Analysis, Theme Analysis, Top Ten Quotes, Biography. Schmoop.com. The Grapes of Wrath by John Steinbeck: Analysis, summary, chapter-by-chapter, themes, characters, notes, study questions, literature. SparkNotes: The Great Gatsby. Contents: Context, Plot Overview, Character List, Analysis of Major Characters, Themes, Motifs & Symbols, Chapters I - IX, Important Quotations Explained, Key Facts, Study Questions & Essay Topics, Quiz, Suggestion for Further Reading. "Extra, Extra, Read all about it!!" A WebQuest on "The Great Gatsby". Created by Kristen Currise (School of Education, Indiana University Bloomington), Adapted by April Moore with step-by-step directions. Introduction, Task, Process, Guidance, Evaluation (includes evaluation sheets and grading rubric), Conclusion, Note to Teachers. F. Scott Fitzgerald, The Great Gatsby (1925). Questions to Think About include: Who do you think the characters in The Great Gatsby represent? What is the symbolism of the green light that appears throughout the novel? In what ways does Fitzgerald present a tension between Modernism and Victorianism in The Great Gatsby? The Great Gatsby is often referred to as the quintessential novel of the "Jazz Age." Using examples from the book, explain what this term meant, and Fitzgerald's attitudes towards that characterization of the 1920s. The Great Gatsby - Literature / U.S. History - Grades 9-12 Lesson Plans Library, School Discovery.com. Contents: Objectives, Materials, Procedures, Adaptations, Discussion Questions, Evaluation, Extensions, Suggested Readings, Links, Vocabulary, Academic Standards. The Great Gatsby Study Help: Essay Questions and Practice Projects from CliffsNotes. Film from Wikipedia, the free encyclopedia. The Great Gatsby has been filmed four times: In 1926, 1949, 1974, and 2000. The Great Gatsby (1926) from IMDB - Internet Movie Database. Film directed by Herbert Brenon. Writing credits: F. Scott Fitzgerald (novel), Becky Gardiner (writer - filmography). Plot Summary: "Nick Carraway, a young Midwesterner now living on Long Island, finds himself fascinated by the mysterious past and lavish lifestyle of his neighbour..." Runtime: 80 min. Country: USA. Color: Black and White. Sound Mix: Silent. Trivia: "No prints of this film are known to survive. Check your attic." User Comments, Message Boards. The Great Gatsby (1949) from IMDB - Internet Movie Database. Film directed by Elliott Nugent. Writing credits: Owen Davis (play), F. Scott Fitzgerald (novel). Plot Outline: "In this 'adaptation' of the F. Scott Fitzgerald novel, a Jazz Age bootlegger learns the hard way about the wages of sin." Cast: Alan Ladd (Jay Gatsby), Betty Field (Daisy Buchanan), Barry Sullivan (Tom Buchanan), Shelley Winters (Myrtle Wilson), and others. Runtime: 91 min. Country: USA. Color: Black and White. Sound Mix: Mono. User Comments. Message Boards. The Great Gatsby (1974) from IMDB - Internet Movie Database. Film directed by Jack Clayton. Writing credits: Francis Ford Coppola (screenplay), F. Scott Fitzgerald (novel). Genre: Drama / Romance. Tagline: Gone is the romance that was so divine. Plot Summary: Nick Carraway, a young Midwesterner now living on Long Island, finds himself fascinated by the mysterious past and lavish lifestyle of his neighbor.... User Comments, Photo gallery for The Great Gatsby (1974) - 2 photos, Cast Overview Robert Redford (Jay Gatsby), Mia Farrow (Daisy Buchanan), Bruce Dern (Tom Buchanan) and others. Runtime: 144 min. Country: USA. Color: Color (Eastmancolor). Sound Mix: Mono. Trivia: Goofs: Anachronisms: Quotes: Awards: Won 2 Oscars. Another 5 wins & 3 nominations. User Comments. Message Boards. The Great Gatsby - Opera (1999). John Harbison, Composer: "The Great Gatsby is a music-driven opera ... a generously proportioned opera based on a very compact novel ... the opera differs from the novel in many ways ... Gatsby is not shadowy and mysterious, he must be heard. ... Fitzgerald’s magnificent portrait of the Jazz Age - in all its idealism, hopes, excesses, nostalgia, and decadence - remains one of the most widely read American novels." Includes Synopsis and Reviews. The Great Gatsby (2000) (TV) from IMDB - Internet Movie Database. A made-for-TV movie directed by Robert Markowitz. 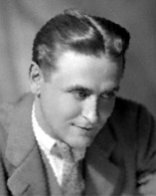 Writing credits - Writers Guild of America (WGA): F. Scott Fitzgerald (novel), John McLaughlin (teleplay). Tagline: "He risked it all to give first love a second chance." Cast: Mira Sorvino (Daisy Buchanan), Toby Stephens (Jay Gatsby), and others. Country: UK / USA, Color: Color. Sound Mix: Stereo. Quotes. User Comments. Message Boards. Gatsby's Idea of the American Dream. Essay by Judd Taylor, April 16, 1998. "In The Great Gatsby, Fitzgerald creates the roaring twenties by showing the division of society. ..." Includes "Works Cited". Critical Essays: In Praise of Comfort: Displaced Spirituality in The Great Gatsby from CliffsNotes. Critical Essays: Social Stratification: The Great Gatsby as Social Commentary from CliffsNotes. The Red Hot Jazz Archive - A History of Jazz Before 1930 by Scott Alexander. Includes photos, suggested reading, Red Hot Bands, 1895-1929, Jazz Films - short Jazz films made in the late 1920s and early 1930s, Jazz Essays, Red Hot Musicians, 1895-1930. Fitzgerald, F. Scott: 1896 - 1940 from SwissEduc English Page. Links to related sites: Information about the Author (biography of F. Scott Fitzgerald), Information by the Author, Geography, Video, The Great Gatsby, Short Stories. The Great Gatsby Message Board from Yahoo! Education - Homework Help. Quiz - Test Your Knowledge from CliffsNotes. Take the quiz, click submit, and see how you scored. Quotations of F. Scott Fitzgerald. F. Scott Fitzgerald Links by Tom Larson.